Simon & Schuster Books for Young Readers, 9781534418776, 56pp. From the creator of Not Quite Narwhal comes a classic tale of a boy and his dog—except in this unique story, one of them is a balloon! When Spencer gets a new pet, he’s excited to do all the things that pets do—taking walks in the park, going to the vet, and attending parties together. There’s just one hitch: Spencer’s new pet is a balloon. And that means No. Sharp. Objects. No drooling dogs at the park. No prickly porcupines at the vet. And absolutely no pinning tails on any donkeys! 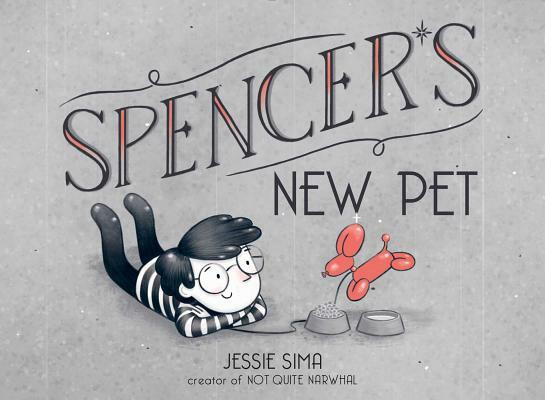 Spencer’s New Pet is a story of pure fun about a boy, his dog, and a friendship that endures life’s sharpest...and most unexpected twists.